Data-miners are digging into Super Smash Bros. Ultimate’s source code and pulling out what they say are hints about the game’s upcoming new fighters. Among details about characters’ speed and weight values — important info for the competitive scene — there appears to be a codename for an unannounced character in the mix, dataminers say. One dataminer posted a shot of in-game files, highlighting several lines of code; one of those is for “fighter_kind_brave.” The text suggests that this is a kind of fighter internally referred to as Brave (obviously), which may seem too vague to speculate on. But Smash players theorize that the file for “Brave” could be a Dragon Quest hero, and they say there’s evidence to support their claims. Ok so since the secret’s out, here’s confirmation. Params in Ultimate confirm the code names of 2 future characters, “jack” and “brave”. In December, a member of the Japanese image board 5channel (formerly known as 2chan) posted what they said was leaked info about Ultimate’s DLC characters, including the recently confirmed Joker. The Persona 5 hero’s stage would be called Mementos, the user said; but they had more to share about a fighter named Erdrick. Erdrick starred in Dragon Quest 3 and has been a recurring figure throughout the series, making him a good representative for one of Japan’s biggest gaming franchises. Erdrick belongs to Dragon Quest’s hero class, which is called Yuusha in Japanese. Yuusha not only stands for hero; it also can mean brave. Hence, the codename. All of this is based on anonymous sourcing, of course, but the data-mine does pointedly include “brave” among the other two fighter names. Those are “Packu,” likely short for Piranha Plant’s Japanese name of Pakkun Flower; and Jack, which could refer to the mascot of Atlus’ Shin Megami Tensei series, Jack Frost. These correspond to the first two DLC characters announced, Super Mario’s Piranha Plant and Joker, and have purportedly been part of the game’s files since launch. And the 5channel post also suggested that something known as P5R was in the works for the Persona series — which Atlus later announced via a brief teaser, confirming at least that bit of the rumor. The data-mine also shows Piranha Plant is heavier than some of the game’s heaviest fighters, including the gigantic Ridley; and Joker has an arsenal of jabbing attacks, and is surprisingly light. (He is a pretty svelte teen, I guess.) Whatever Brave means — whether it’s a Dragon Quest rep or not, although that wouldn’t be the most surprising inclusion — it refers to a mid-weight fighter with a sword. Piranha Plant won’t be available in-game until February, and we don’t yet know when Joker will arrive Super Smash Bros. Ultimate. 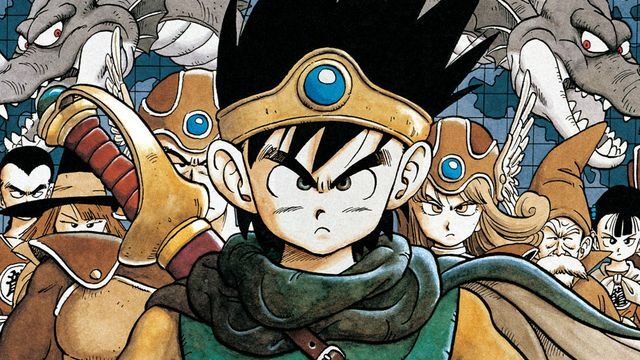 It may be a while before we find out who this “Brave” fighter is, but if you buy into the speculation and want to get familiar with Erdrick, Dragon Quest 11 is said to be a good entry point in the series — and with both Dragon Quest Builders 2 recently released on Switch in Japan and the upcoming release of Dragon Quest 11 on the console, there’s even more reason to believe that Nintendo and Square Enix want to give the series a Smash rep.